The Society of Ancients shows team will be at the UK Games Expo this weekend. Come along to this great event http://www.ukgamesexpo.co.uk/index.php - the place to try out new games. 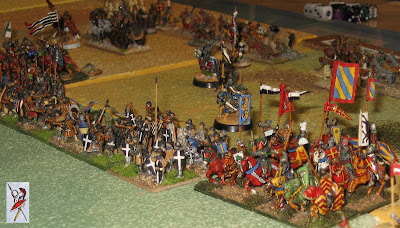 We will be taking along some Field of Glory kit with a Crusades theme in support of the mini tournament they are hosting, and to fly the 'ancients' flag. Please join in - especially if you haven't tried FoG before, or to break up the diverse choice of other styles and interests the Expo caters for. 2010 battle for Battle Day announced!